Today is the big day. Two other photographers and myself are opening a photo exhibition in a small gallery in Oslo. 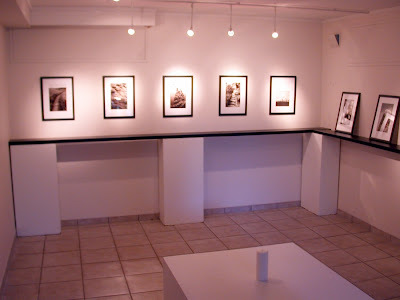 This photo is taken two days ago and show my exhibition room. Only half of my photos were up at this moment, but today all arrangements should be done and ready for the guests to arrive. I'm a bit nervous, but I'm also looking forward to it. Heather is a typical plant for autumn. You will find it planted on graves, in flower boxes - and of course growing wild some places in the country side. This photo is also from my balcony. 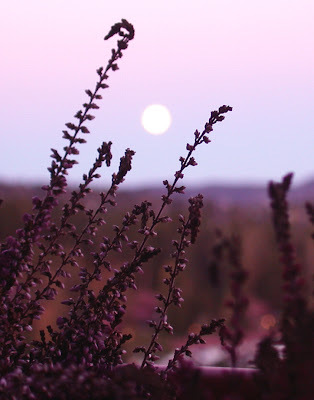 The heather is in my flower box and the full moon is shining above it. Quite a lovely sight. This is a photo from my balcony last night. 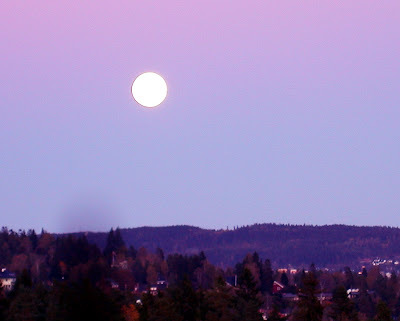 A lovely mood with the full moon. Today's photo is a view from where I live. As you can see it's a beautiful, sunny day. I'm sorry about not posting yesterday, I'm ill and a bit stressed out because I'm having a photo exhibition on Sunday and in the last minute decided to swap 9 out of 10 photos. Looks like everything will be right on time, phew! This photo is a bit blurry, but as you can see it's heavy rain. The photo is from earlier this summer, but we've had some heavy showers lately, so this seems quite fitting for today's photo. 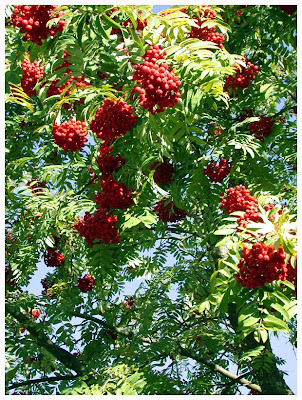 A typical sign of autumn in Oslo: The Rowan tree with its beautiful, red berries. This photo is not from this year, as the rowanberries aren't showing yet - at least not like this. Some say that if there are many rowanberries in the autumn, the winter will bring a lot of snow. Others say the opposite. I don't know what is correct, but I'm always hoping there won't be much snow. 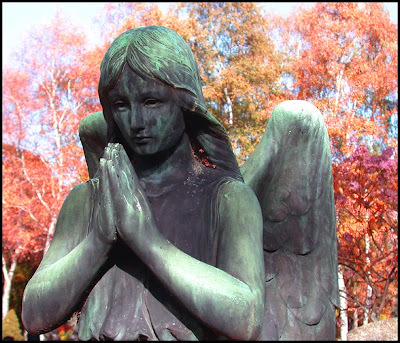 This angel is from the same cemetery I've showed you earlier. I like this, with the coloured trees in the background. There's been a lot of talk in Norway about angels the past few months, after our Princess Märtha Louise launched an alternative school aimed at training students to contact angels. More about this here: Article in English. After a very rainy summer, we've had some really wonderful autumn weather. The past few days it's been raining again, but hey! - it's the autumn, it's supposed to rain. 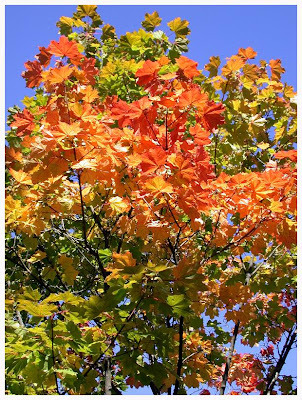 I love the autumn for it's crisp clear air and the change of colours. The sunny autumn days are truly beautiful. I hope this photo gives you an impression of what it can be like. 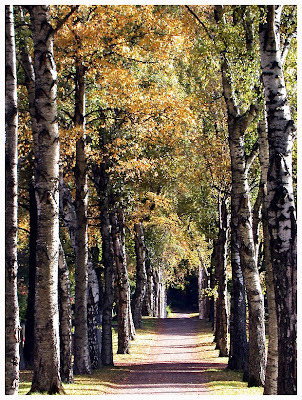 The photo is taken in a cemetery near the Vigeland Park. In Norway there are strict rules on where you can buy alcohol. Beer can be bought in a grocery store (but not after a certain time), but stronger alcohol such as wine and spirits, can only be bought at special stores called "Vinmonopolet". 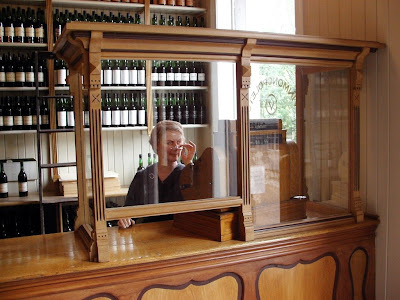 This photo is from the museum Norsk Folkemuseum and displays how Vinmonopolet was back in the beginning of the 1920's. Norway faced major alcohol problems in the 19th century. Legislation was liberal, and advances in production techniques helped to encourage growing use of spirits. This peaked around 1830-40, when spirits accounted for 80-90 per cent of Norwegian alcohol consumption. Estimates suggest that each adult Norwegian drank about 13 litres of neat alcohol in the form of spirits during these years. Norway's alcohol consumption has never been higher, before or since. Because of these problems there was a ban on alcohol in 1919. This was not popular with the wine-producing countries, and since Norway was (and is) selling a lot of fish to other countries they were more or less forced to find another solution. 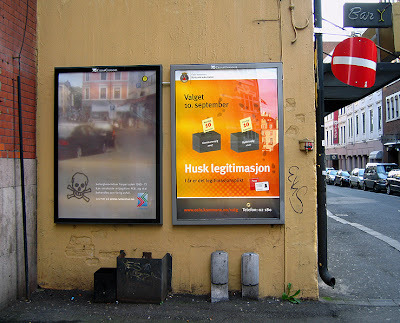 A centralised monopoly would prevent the arbitrary local variations, which prevailed in Norway, it was claimed. This argument made a big contribution to the creation of Vinmonopolet as a private limited company under government control on 30 November 1922. Covering both import and sales, the company's monopoly was intended to make wine available nationwide while taking account of the social concerns associated with alcohol use. When prohibition was repealed on fortified wine in 1923 and spirits in 1926, Vinmonopolet took over the sale of these commodities. This is another photo from the museum "Norsk Folkemuseum" where you can take a walk along old buildings from different parts of Norway, learn about the culture and history. 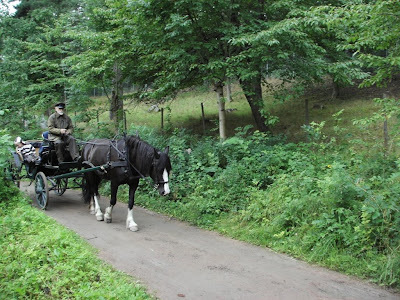 As you can see, you can also get a ride with a horse and carriage. 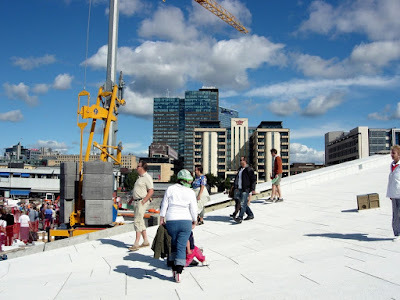 This is another view from the new Opera House in Oslo. 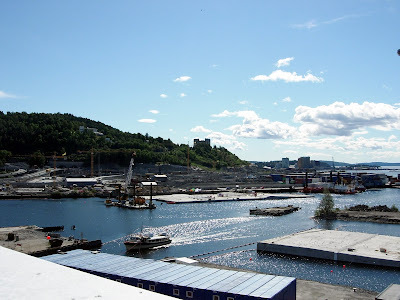 You see part of the harbour and some of the inner parts of Oslo fiord. In the background you see the "seamen's school", which is now used by another school: Norwegian school of management. 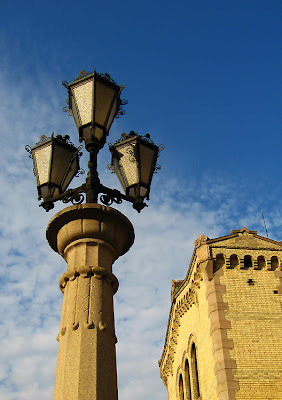 It's a really nice building, built like a small fortress. 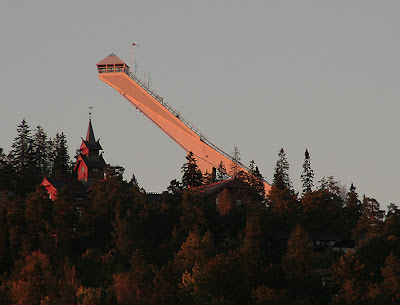 Holmenkollen in a nice, red evening light. A new skijump arena will replace the one in the picture. 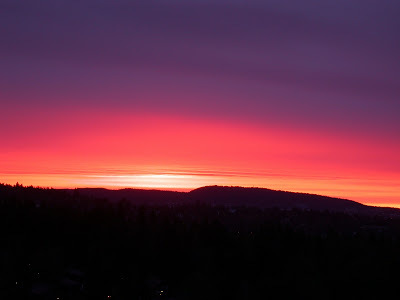 The new arena will be called "Holmenkollen Fyr" (Holmenkollen lighthouse). Believe it or not, but a Danish company is responsible for the design. This beautiful viking ship is the Oseberg ship. 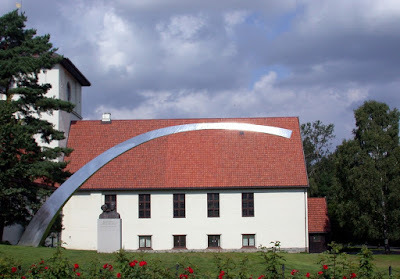 It was excavated in 1904-05 and was later placed in the Viking Ship museum I've showed you in the two previous posts. The ship was found in a large burial mound in Tønsberg, a town in Vestfold county. I'm so impressed by how they managed to move the ship from the burial ground to Oslo in a time when they really didn't have all the modern equipment they would have used had it happened today. 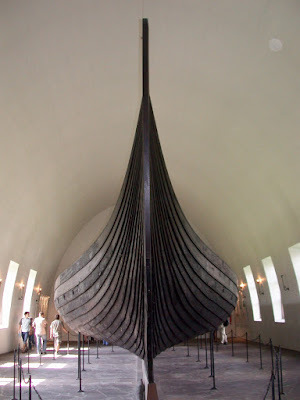 The ship was made in 820 AD and had been used for a while before it became the grave of two viking women. The ship was fully equipped with jewelry, weapons, household equipment, clothing and everyday items. Many of these are on display at the museum. This statue is placed outside of the Viking Ship Museum, which you can see in the second picture in yesterday's post. Helge Ingstad was a Norwegian explorer. 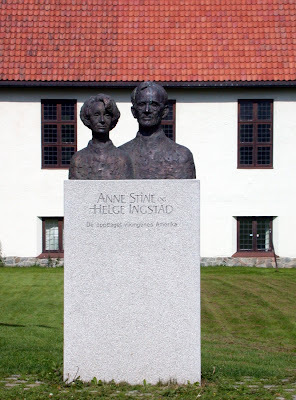 His wife Anne Stine was an archaeologist. In 1961 they found remnants of a Viking settlement on Newfoundland and were the first to prove that Islandic/Norwegian vikings had found a way across the Atlantic ocean to North America about 500 years before Christopher Columbus. The sign says: "They discovered the America of the vikings." 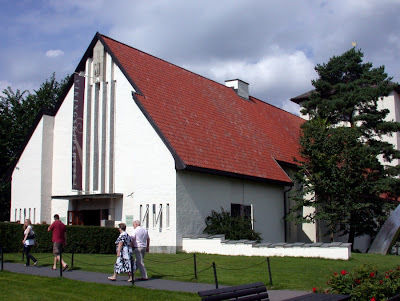 The Viking Ship Museum displays the large Viking ships Oseberg, Gokstad and Tune, as well as founds from the chief grave at Borre in the Vestfold district. The three ships are the best preserved Viking ships known, found in royal burial mounds in the Oslo fjord. As burial ships, carrying the dead over to “the Other World”, the ships were equipped with unique treasures such as wagons, horses and especially textiles which are seldom preserved from the Viking age, now on exhibit at the museum. 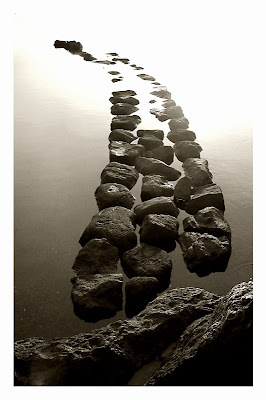 Our knowledge of daily life in the Viking Age comes mainly from archaeological finds. The graves contained not only jewellery, weapons and vehicle tools, but also other tools and household goods. These finds are exhibited in the museum. 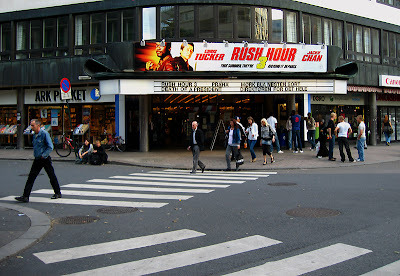 This is Klingenberg movie theatre, one of twelve movie theatres in Oslo. 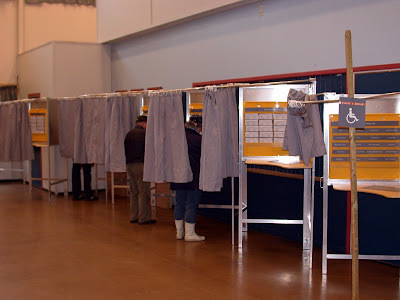 Today's the election day for the county/municipal councils around the country. In Oslo you vote twice today; one vote for the city council and one for the district you live in. Oslo is devided in 15 districts, and each has it's own city ward council. For the first time you need to bring an ID to be allowed to vote. I did my duty quite early today to avoid the long lines you can expect if you vote in the afternoon. The election is open from 9 a.m. until 8 p.m. The results will probably not be ready until tomorrow. We have quite a few parties to choose from, so usually we end up with councils mixed with politicians from several/most of these, leaving it hard to get clear majority. Compromise agreements usually means noone is satisfied, at least that's my view on politics in this country. Tomorrow is election day, and for a while now there has been a lot of info posters all over the town. This one reminds you to bring your ID-card. If you don't, you will not be allowed to vote either. 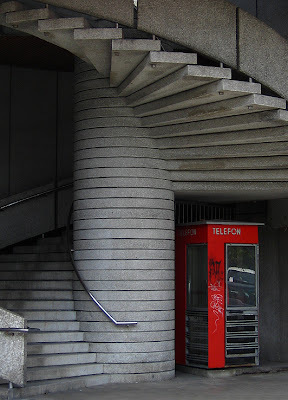 In 1933 the company Oslo Telefonanlegg set up a public design contest to make a standardized telephonebooth that was not to cost more than 1000 NOK and was sturdy and easy to assemble. Among 93 contributions, the arcitect Georg Fredrik Fasting won the contest, with his booth called "Riks". It was red and functional, made in iron and glass. The need for phonebooths was raised in a time when a telephone was expensive and hard to get, and cellphones did not yet exist. During the 1970-80's there was over 6000 of these booths, all over Norway. But when the private phones got more and more comon, and the cellphone got very popular in the 1990's, the need for phonebooths decreased as well. 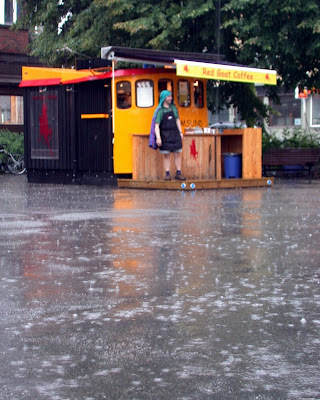 And because of vandalism and low profit, there is almost no booths left at small places in Norway today. In June 2007 the government signed an agreement with the phonecompany, to save the remaining 100 of the last 420 red phonebooths in Norway. 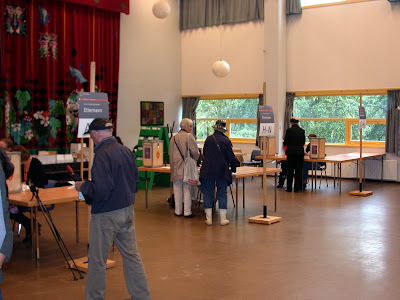 The booth in the picture is placed at Ruseløkkveien in Oslo. Yet another photo from the new Opera house in Oslo. This is from the day they opened this new building for the public to see what it'll be like. The building is built in a way so you can actually walk on the roof as you can see in this photo. 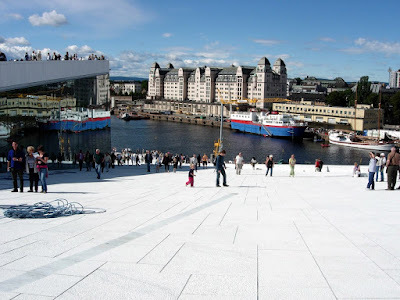 My sister, Imzadi, went on a trip to the new opera house in Oslo. 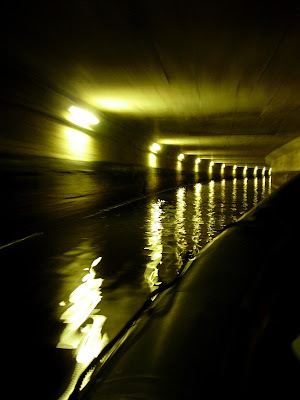 It was arranged, so people could arrive in boats or by bus. 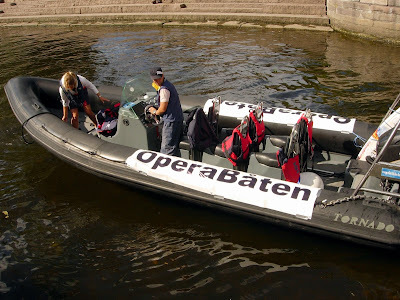 Imzadi and family went by this boat from Vaterlandsparken to the opera house in Bjørvika. This is one of the street lights in front of the Norwegian Parliament.